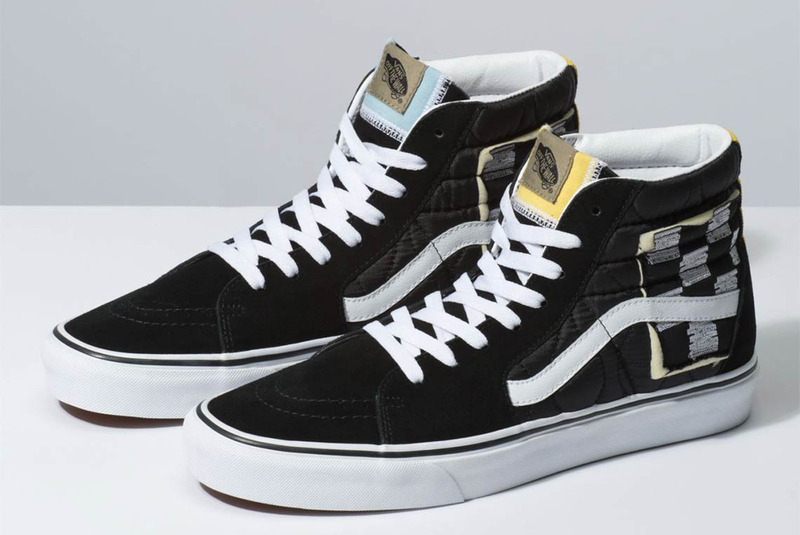 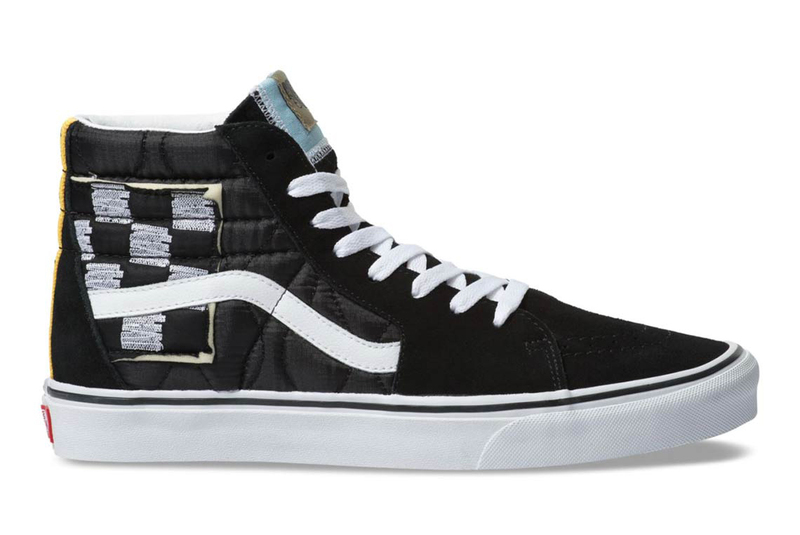 Vans are no stranger to the deconstructed trend currently sweeping the sneaker scene, and their latest Sk8-Hi is taking that theme and running with it. 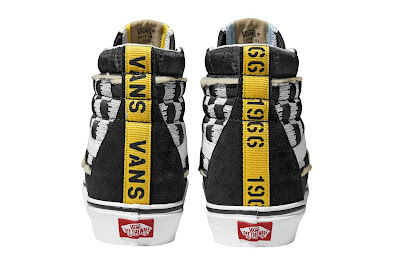 A simple colourway of black and white gets plastered onto the classic silhouette, while the iconic Vans checkerboard print can also be seen on a small portion of the upper, surrounded by exposed foam giving the illusion that it may have been cut out. Elsewhere, hits of yellow have been used on the tongue label and on the industrial belt adorning the heel of each shoe.